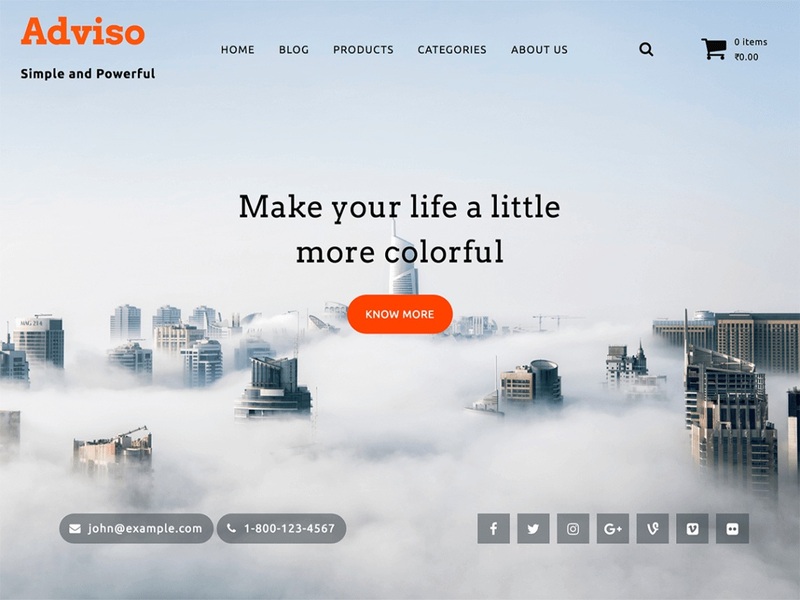 Adviso is a beautiful Material WordPress Theme designed keeping in mind the Material Design concepts. Apart from the aesthetics, Adviso is the perfect choice for an amazing website. With WooCommerce support, an E-Store was never this beautiful. Featured Posts, Carousels, Featured Categories, Featured Products provide an awesome way to showcase your content. Full Window Header allows you to engage users from the start. The theme has been designed laying emphasis on readability, customizations and a clean layout.